KC-60 M : Alnico5. Typical 60s sound, more grease, very warm with an excellent definition. Beveled compensated and polished rods. 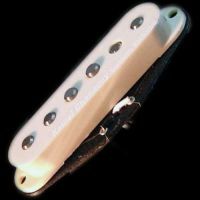 KC-60 B : Alnico5, More Powerful. Typical 60s sound, more grease, very warm with an excellent definition. Beveled compensated and polished rods.